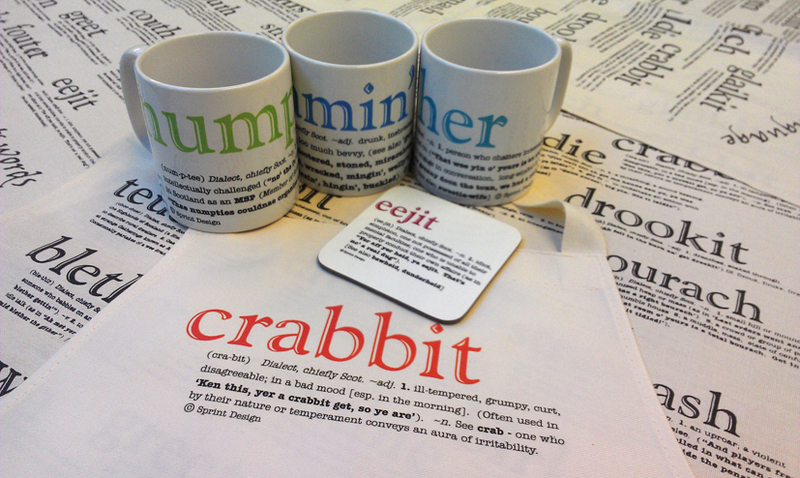 Sprint Design has been producing some of the most popular Scottish gifts for more than 30 years. From the original “DIALECT” Scottish words to our best selling “If it’s broon it’s cooked…”, our products bring a keen Scottish sense of humour and identity. Everything you buy from Sprint Design is designed and produced IN-HOUSE in Stirling, Scotland.